The scandal involving Facebook and political data firm Cambridge Analytica has cast attention on the burgeoning use of psychographic models — the analysis of individual’s interests, opinions, and concerns to help build a personality profile. More specifically, the case illustrates the potential misuse of psychometric data that psychological scientists working in the field of computational modeling have warned about. Psychographic profiling is often used in marketing and advertising to classify people according to their attitudes, preferences, and other psychological factors. Over the past few years, psychological scientists have been creating and demonstrating computer algorithms that can build personality sketches based on social media activity. But the reported tactics of Cambridge Analytica, a British company backed by Republican operatives Stephen K. Bannon and Robert Mercer, has revealed the potential for using psychographic technology to target political messages and influence voter behavior. And it has illuminated the privacy risks that people face when they take those “what-is-your-spirit-animal” online quizzes, using their Facebook passwords to log into third-party websites (and allow access to their friends’ profiles). As first reported in The New York Times and The Observer in London, Cambridge Analytica reportedly used data from online personality quizzes to target political messages for the 2016 Trump presidential campaign. A central figure in the scandal is Cambridge University psychological scientist Aleksandr Kogan, a Cambridge Analytica collaborator who reportedly told Facebook he would be collecting personality data for research purposes only. Kogan collected the data from 270,000 users who downloaded his own personality test app, “thisisyourdigitallife.” using their Facebook passwords. But the app gathered information from those users’ Facebook friends without permission, allowing Cambridge Analytica to build voter personality profiles on 30 million Facebook users, according to news reports. Kogan has said he was unaware that Cambridge Analytica intended to use the data in the Trump campaign. He also dispels the idea that his app could be used to profile individual voters. Facebook and Twitter have been a ripe source of large data sets for social and behavioral research over the last several years. Among the most cited examples is a 2012 study conducted by researchers at the University of Cambridge Psychometrics Centre, who created an app called “MyPersonality” to create personality profiles. Psychological researchers Michal Kosinski and David Stillwell, along with Microsoft computer scientist Thore Graepel, showed that they could build a statistical model that uses an individual’s Facebook “Likes” (which 58,000 volunteers provided for the study) to determine various personal attributes, including ethnicity, sexual orientation, and political views. APS Fellow Brent Roberts, a University of Illinois personality researcher, says these types of studies ― tracking behavior via social media — can provide findings that are more reliable than self-report methods. “Yes, you can do personality research based on Facebook and other social media, and I think based on recent evidence you can do it well,” Roberts says. Many scientists and political strategists are debating whether Cambridge Analytica’s actions yielded any influence on the election outcome. But for Roberts and other psychological scientists, the bigger question is whether people’s online activity can be used to sway their behaviors and attitudes. And a recent study suggests it can. 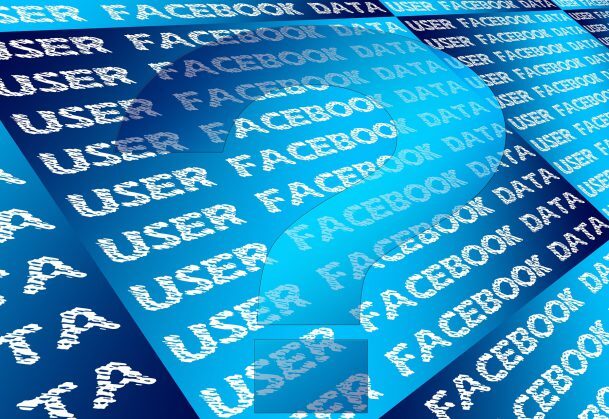 Columbia University psychological scientist Sandra Matz, along with Kosinski, Stillwell, and marketing researcher Gideon Nave, employed “MyPersonality” to assess millions of Facebook users’ Likes as a means of gauging individuals’ extraversion and openness-to-experience. They then placed ads on viewers’ Facebook pages as they browsed. Results showed that people were more likely to make a purchase after viewing the ad that matched their personality. Reporting on the findings in 2017 in the Proceedings of the National Academy of Sciences, Matz and the other researchers pointed out both the opportunities and ethical concerns that tailored communication raise. Indeed, scientists have already reported attempts to use their computer algorithms for psychographic targeting. In fact, Kosinski, now an assistant professor at Stanford University, has said he rejected an invitation from Kogan to monetize the MyPersonality research. And Lyle Ungar, a University of Pennsylvania professor who researches computational modeling, told Quartz that he’s rejected requests for help from health insurance companies wanting to track social media behavior to learn more about prospective customers. Kosinski himself has warned about the potential exploitation of personal data from digital platforms. Elizabeth Page-Gould, University of Toronto, tweeted that social psychologists at the very least to have a responsibility to follow the story closely. Psychographics is no more than actuarial analysis .. This is hardly investigative science, more like what insurance actuaries engage in. What I like to call insurance salesman psychology. Are we talking about investigative psychological science/research which attempts to understand the causes and ‘mechanisms’ of a phenomenon we call “personality”, or merely actuarial analysis which works with aggregates but is merely descriptive and can say nothing about cause or mechanism? Psychographics does have serious pragmatic value for advertizers and those wanting to create ‘effects’ at a population level; the kind of intervention useful for those calculating small effects but at a population level. Other than that, it’s about as much use to psychological science as Basil Fawlty’s suitcase full of hippopotamus sauce. I’d like to see Aleksandr Kogan’s IRB application for his research. His Cambridge University research profile is totally different that his Facebook “study”. Myself and a couple of friends have recently been checking the accuracy of Facebook’s profiling algorithms, behaving in a relatively normal way, but displaying the odd ‘quiet’ psychopathic tendencies; moving our location pretty regularly, talking on Whatsapp about ordinary everyday things but changing from charismatic charm to something a little more out of character from time to time, job hunting online on a regular basis etc.. Taking a more subliminal approach to the project without giving too much credence to outright visible behaviour such as ‘likes’, group involvement etc.. Not surprisingly, Facebook came up trumps. Pretty incredible, but frightening if / when that information gets into the hands of research companies, terror organisations whose sole intention is to radicalise people online.